We are introducing our newest skincare line with 2 special offers! Save $93.00 vs. buying the system separately. Save $84.00 vs. buying separately. 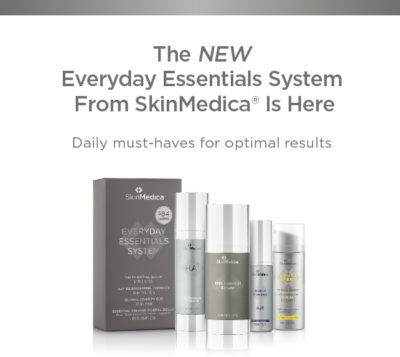 SkinMedica® is committed to advancing the science of skin rejuvenation through research and innovation, with products that work with your skin’s natural healing properties, helping you to achieve transformative results from the inside out. 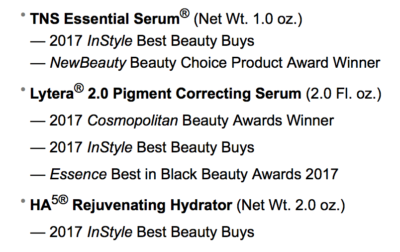 Whatever your skincare needs or challenges may be, you deserve healthier looking skin. 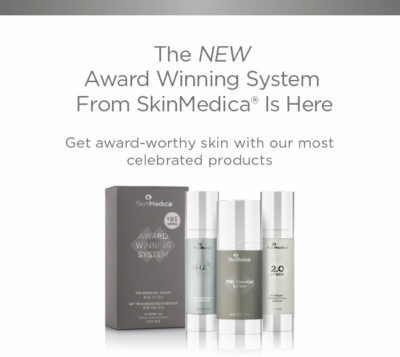 That’s why SkinMedica® has dedicated nearly two decades of research to formulating advanced products. Your Skin Solutions aesthetician can determine exactly what your skin type needs are and help combine SkinMedica® products into a personalized regimen. SkinMedica® is committed to research and clinical data: instead of providing quick fixes, SkinMedica® has developed products to promote the long-term health of your skin. Don’t hesitate to call us at 879-4191 to learn more about our newest skincare line, or with questions about any of our treatments. We hope to see you soon!